How eCommerce Technology Benefits the Business? 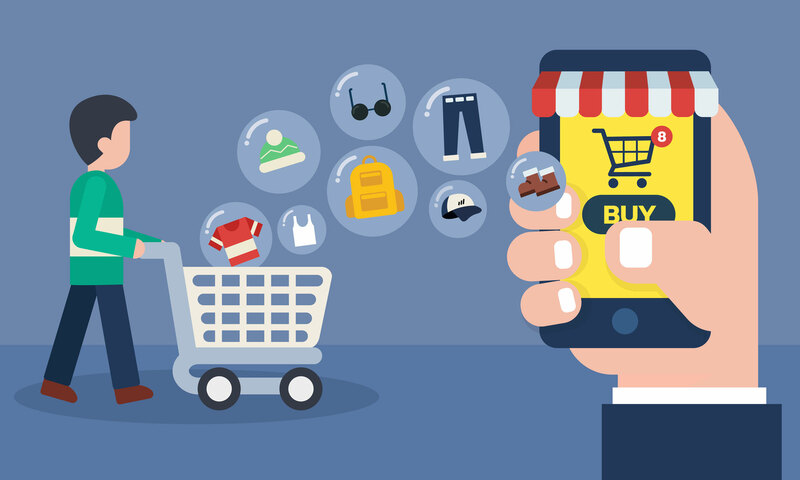 Posted byAtulHost	 28th Mar, 2019 28th Mar, 2019 Leave a comment on How eCommerce Technology Benefits the Business? ECommerce technology has been flourishing drastically from the last decade, and most of the business owners curious to develop an online ecommerce store to give their local business a universal identity. If you are also one of them, but hesitate to open an online store due to the security concerns. Do not worry, an SSL Certificate is the best solution for your security concerns, it protects your online business as well as customers’ information from prying eyes. Nowadays, around 60% of USA natives make their purchases from online stores to stay easy in their comfort zone. Thus, do miss a chance to take advantage of e-commerce technology and grow your business worldwide. Whether you are a retailer or a shopkeeper, you still have the right to dream big and expand your business globally. E-Commerce technology is only the ideal solution where you can sell your products and services across the world. Now, no need to limit your business by the geographical area, you can go global through an online store and it gives your business a universal identity. These days, everything can be purchased with just a single click. Mobile e-commerce application or web sites make it easier and convenient for people to buy anything from their dwelling at any time of the day. Beside it, user-friendly web design now makes the fund transferring easy and people can save their lot of time that used to invest in searching their desired products by going shop to shop. Retailing businesses completely depend on contacts and relationships, but online businesses rely on search engines like Google or Yahoo. A few people know the power of search engines and how to use them effectively. Most of the users search their desired products on search engines and this way websites get traffic from search engines that further divert into successful leads. Therefore, your e-commerce website should be search engine optimized so that you can gain new customers without any reference and relationship. Furthermore, social media channels are also used in the e-commerce industry to get in touch with new customers and to notify customers about new products and services. All businesses profit depend on the conversion rate of it. The more conversion your business has, the more profit you will gain. An e-commerce website helps you increase your conversion rate through search engines and social media advertisements. Here, you do not need to worry about geographical location, traffic on your website come from any place and any time. Moreover, people do not need to visit your physical store to test the product; they get an opportunity to buy from you straight away. It is quite easy to advertise on social media sites and other communications channels of the World Wide Web as compared to the conventional method of advertisements such as radio, print media and TV. These advertisements modes improve your brand awareness as well as the conversion rate of your business. Physical stores need a huge investment of big bucks, but the e-commerce store saves a lot of money that is invested in the advertisement, staff recruitment, and shop rents. You can advertise your business digitally at an affordable cost and some digital channels even offer free advertising services. On the other side, you do not need to hire a huge staff for inventory management and selling your products, you can work without staff. Moreover, you do not need to pay shop tenant and huge electronic bills because an online store can be run without a physically located showroom. This is the most beneficial feature of an online store. You can open your online store 24 hours in a day that is not possible in a physically located store. This feature helps you to gain more orders and more profit. Besides your business, this feature also helps people to buy the products from your store any time of the day whether it is midnight or early morning. Most of the business owners hesitate to open an online store as they need to keep secure the customer’s private information like credit card number, email id, and identity number. Such information is more likely to be targeted by hackers. However, Comodo SSL certificates are the best solution to secure the data that is transmitted between a user and a web server. Moreover, it provides a number of benefits to your business such as; high conversion rate, boosts brand credibility and customer satisfaction. There are a number of analytic tools available online that provide the best platform for business to launch their whole range of analytics operations. You can install the suitable analytic tools for your e-commerce website that help to estimate customer engagement, marketing campaigns, sales effectiveness, product mix, customer effectiveness and more. One of the best analytic tool is google analytics. E-commerce website allows you to optimize and scale your business budget according to the other factor of your business such as; conversion rate, customer growth, and profit gain. For instance, you can run your social media ads according to the sales of your business. When you are earning huge, you can disable the ads until the business goes down. You can regulate your social advertisements and inventory according to the changes in your online business. To stay competitive in the stiff competition and gain more profit, you must have your online store. Without setting up the store physically, you can run your online store at an economical cost. An online store boosts your brand awareness and gives your business a global identity. Domain Auctions – What Are They? Importance of Cloud Computing: Why You Should Use it?